Scientists at The University of Nottingham have discovered that a small molecule called nicotinamide mononucleotide (NMN) causes a chain reaction of destruction within the neuron cell processes, called axons. The research, published in the academic journal Cell Reports and conducted by researchers in the University’s School of Life Sciences, was led by Dr Laura Conforti and PhD student Andrea Loreto. 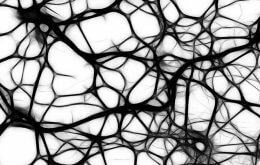 Neurons are extraordinary, highly compartmentalised cells that communicate and transmit electrical signals to other cells in the body through their axons, which are very long and slender projections making up to 99 per cent of the cell’s volume. Their delicate shape and important function make axons very vulnerable and sensitive to early degeneration in a range of age-related neurodegenerative disorders including Parkinson’s disease, Huntington’s disease, Alzheimer’s disease, motor neuron disease and Multiple Sclerosis and in traumatic nerve injuries, preventing nerve cells from communicating with one another and with other cells and often causing symptoms. The scientists have previously published research into NMN, which is known as a precursor to nicotinamide adenine dinucleotide (NAD), a coenzyme and ‘helper molecule’ present in all living cells that is essential for the production of the cell’s energy. This research showed that NMN initiates axon degeneration both in neurons in lab cultures and in zebrafish models of acute injury and neurotoxicity. Building on the earlier work, the current study demonstrates that NMN in injured axons works together with SARM1, a protein involved in the innate immune system – the body’s first line of defence against potential pathogens – that plays a key role in axon degeneration, and kicks off a chain reaction leading to toxic levels of calcium and axon fragmentation. The latest work again used cultured neurons and zebrafish models, the latter set up in collaboration with Dr Martin Gering, employing advanced microscopy techniques, with the assistance of the School of Life Sciences Imaging (SLIM) facility led by Experimental Chief Officer Tim Self. Dr Laura Conforti said: “This study adds a new layer to our understanding about the connections between NAD metabolism and axon degeneration as it identifies a signalling role for NMN, a molecule previously known only as an NAD precursor. “This discovery suggests that controlling the levels of NMN and the downstream signals it evokes may have an unexpected therapeutic potential in neurological disorders where axon degeneration is an underlying cause. The paper, Wallerian Degeneration is Executed by an NMN-SARM1-Dependent Late Ca2+ Influx but Only Modestly Influenced by Mitochondria, is available to view online via the Cell Reports website.